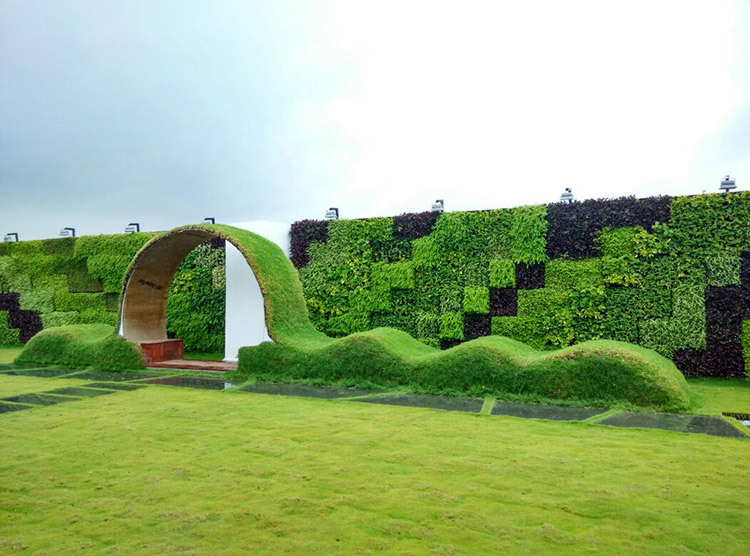 TERRACE FOR HUNTSMAN INTERNATIONAL PVT.LTD. Huntsman Corporation is a global manufacturer of chemicals of daily use. VYDRO® substrate is a hydrophilic material developed by Huntsman which is a highly versatile plant growing medium. Extremely lightweight, this porous, chemically inert foam can absorb up to 30 times its own weight in water- keeping it ‘locked in’ to prevent casual loss through evaporation. It offers superior performance for green roofs, living walls plus horticultural and recreational applications for a wide variety of growing environments, climates and plant types. Huntsman was coming up with their regional office at Saki Naka Mumbai. They had the top terrace measuring roughly 30,000 sq.ft. out of which 10,000 sq.ft. was usable and was to be a landscaped terrace. Being an existing terrace, it wasn’t possible to load the terrace by construction or soil filling for horticulture. The clients wanted to promote this product. 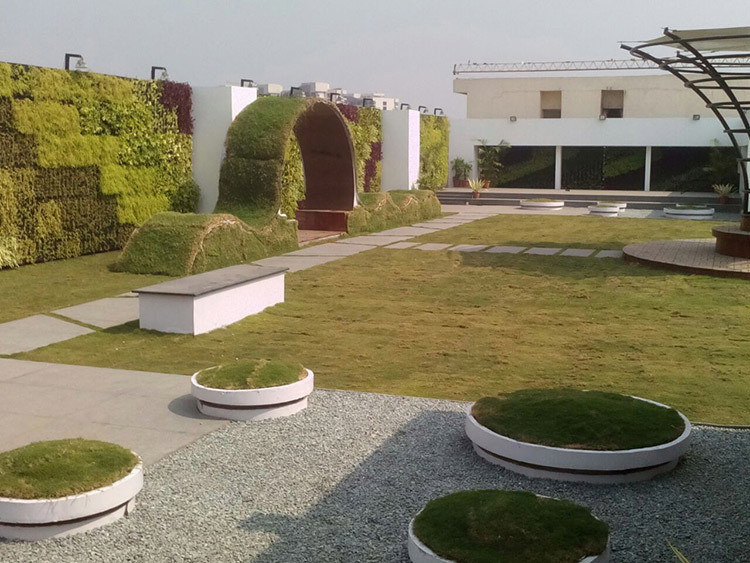 The landscape design idea sprung from this thought and we decided to design the entire terrace using only Vydro and make it a ‘soil-less’ landscape. 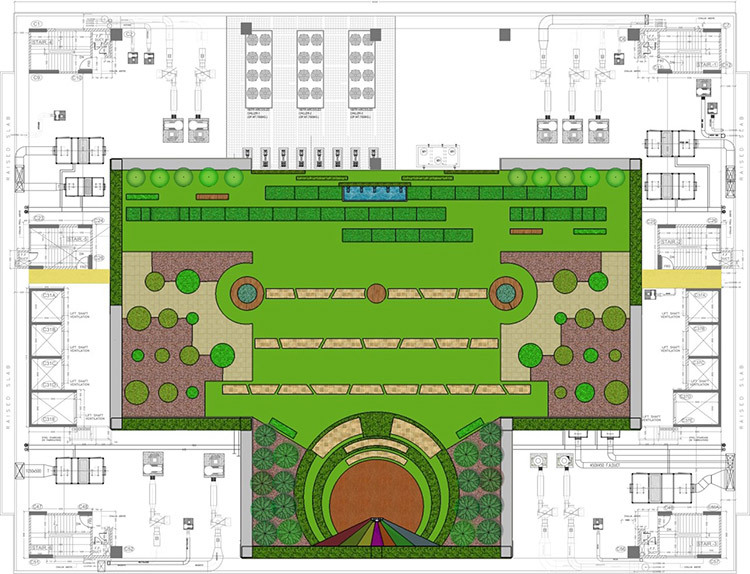 The terrace was designed as a ‘breathing’ space for the employees. 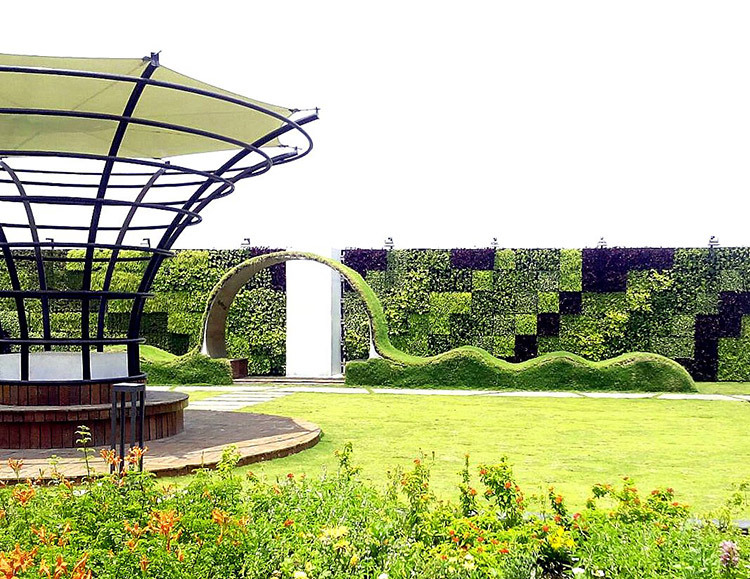 It was created like a green enclosure by using vertical green walls to screen off service areas and objectionable views outside. The framework was done in fabrication taking care to place the loading on the columns only. 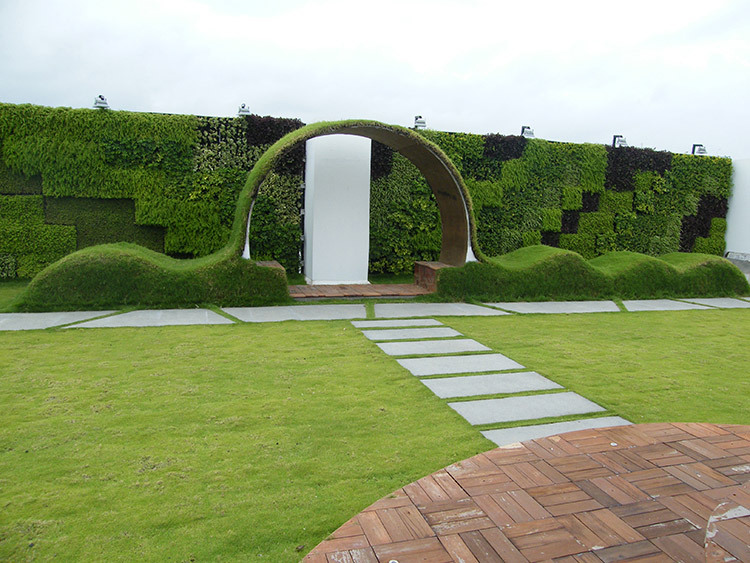 Elements like a green wave, a green seat, a pavilion, spice bowls were experimented with and successfully executed. 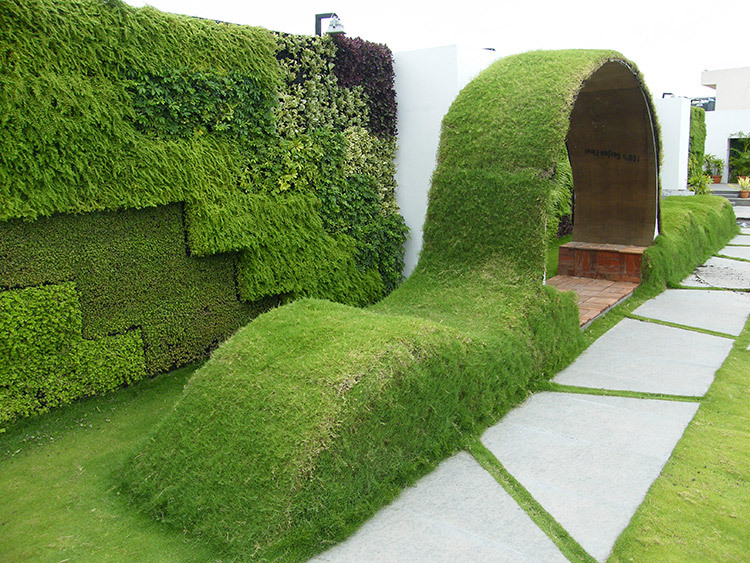 The lawn was pre grown in Vydro like a blanket and was laid over a drain cell system directly on the terrace. The elements have a structural framework made in fabrication, over which a GI sheet was fixed to get the shape. Finally Vydro blankets were wrapped on this with irrigation lines running underneath.